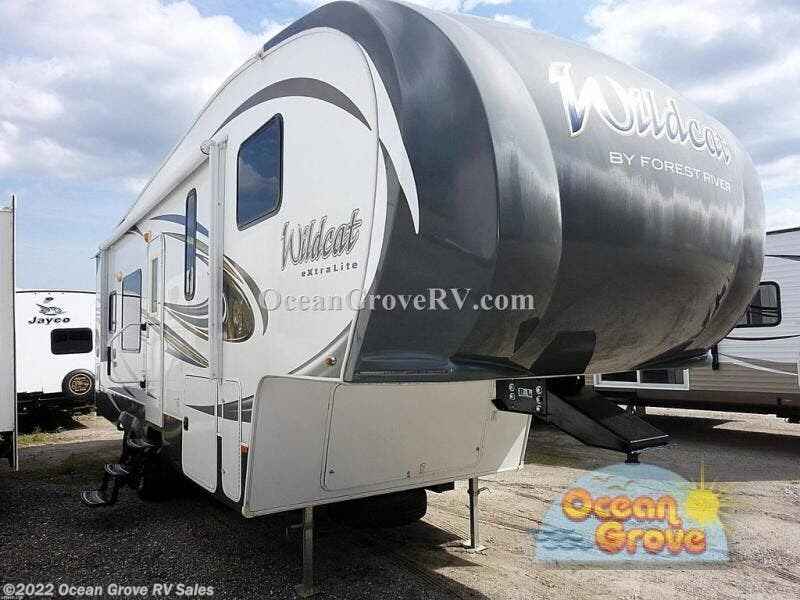 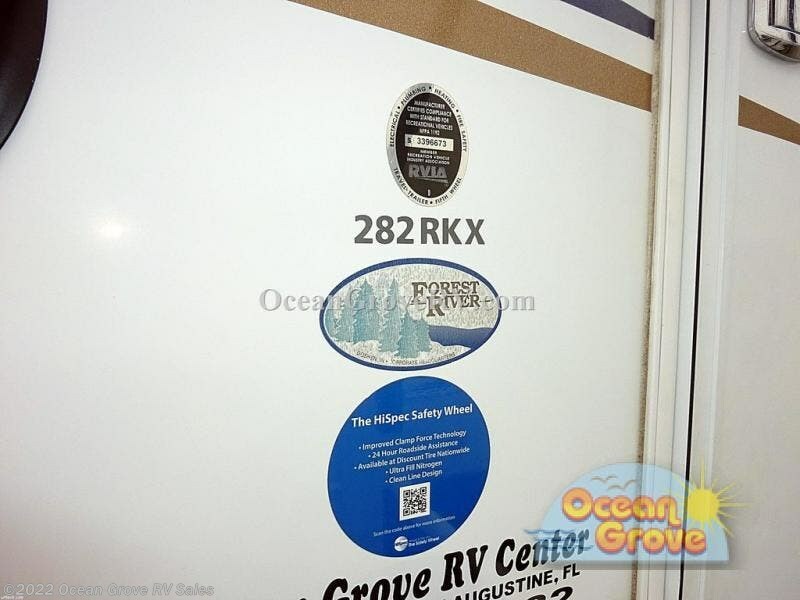 Stepping inside the 282RKX eXtraLite Wildcat by Forest River you will notice that the living and kitchen areas are combined. 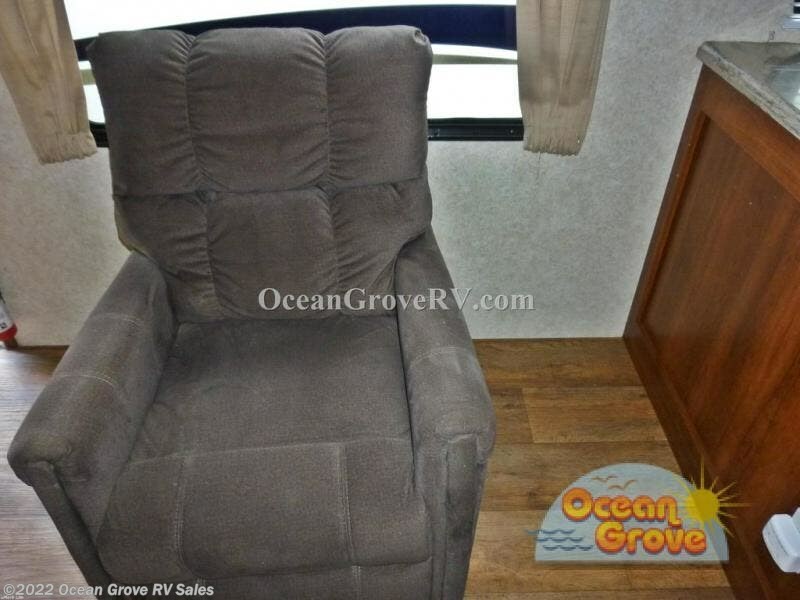 To your left of the entrance are two swivel recliners. 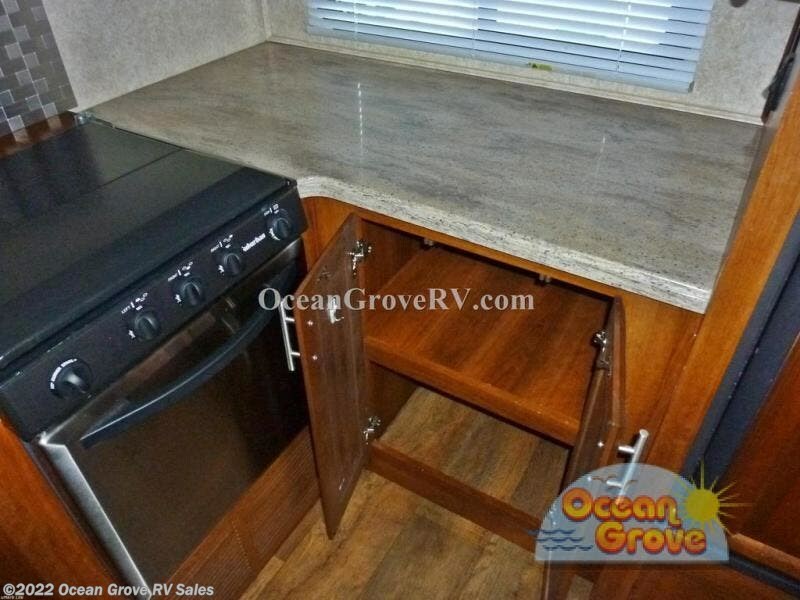 Proceeding around the model you enter the kitchen which has a double kitchen sink on an angle, three burner range, a long counter, refrigerator, and pantry. 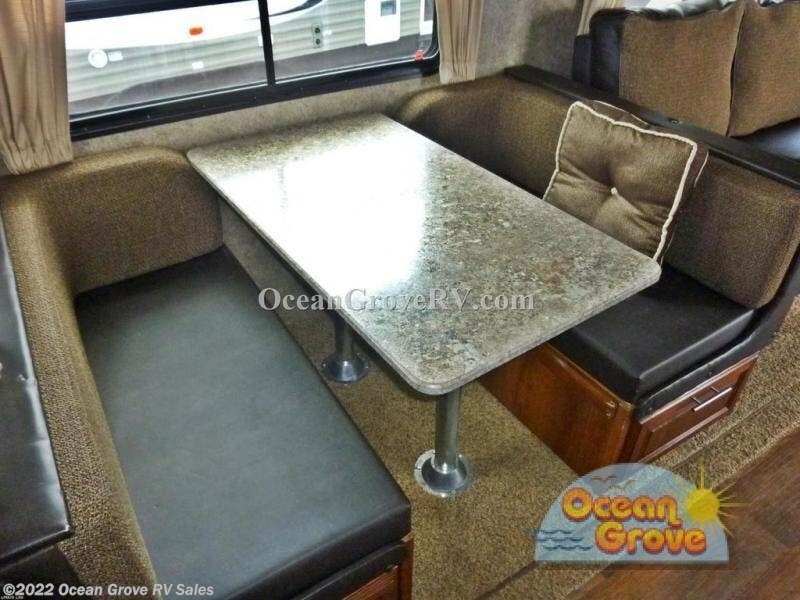 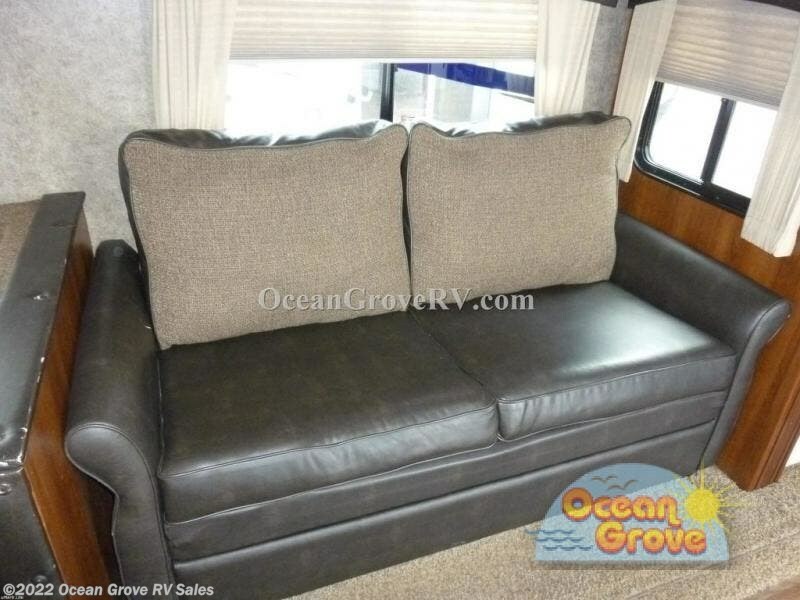 A booth dinette and air mattress hide-a-bed sofa are located in a slide. 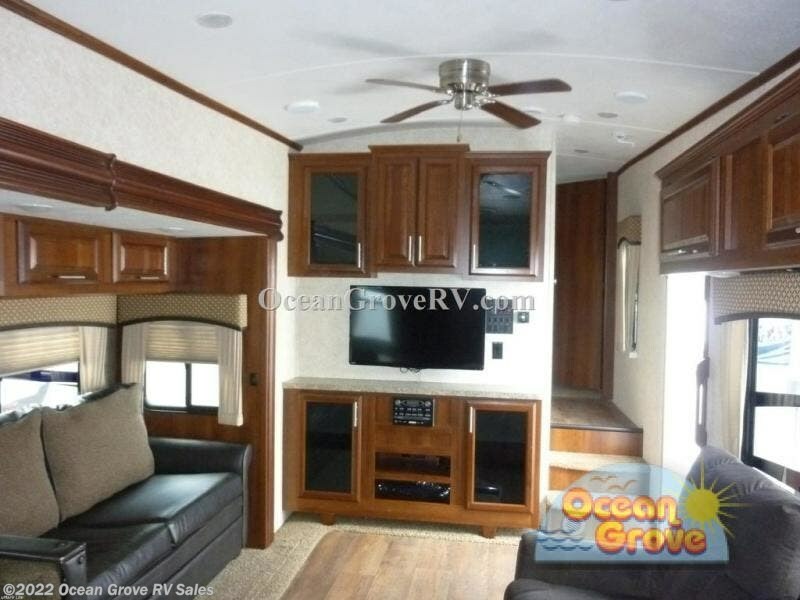 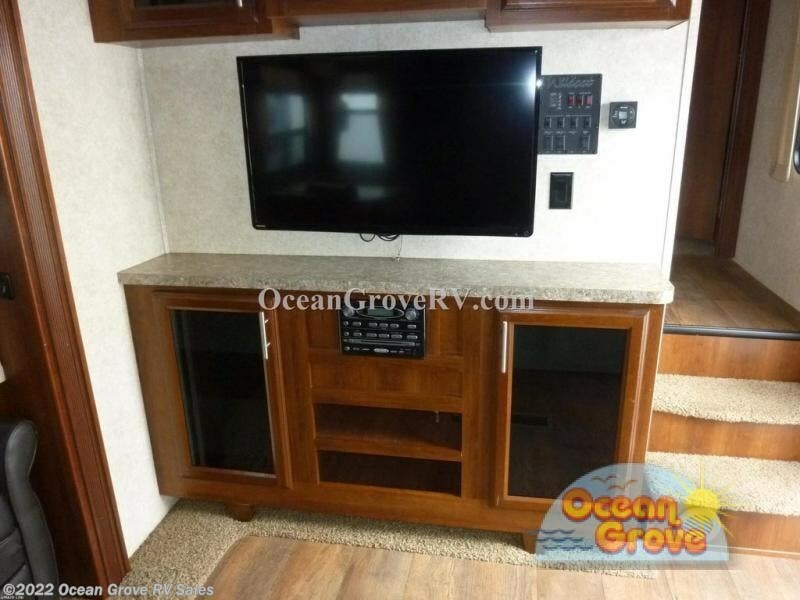 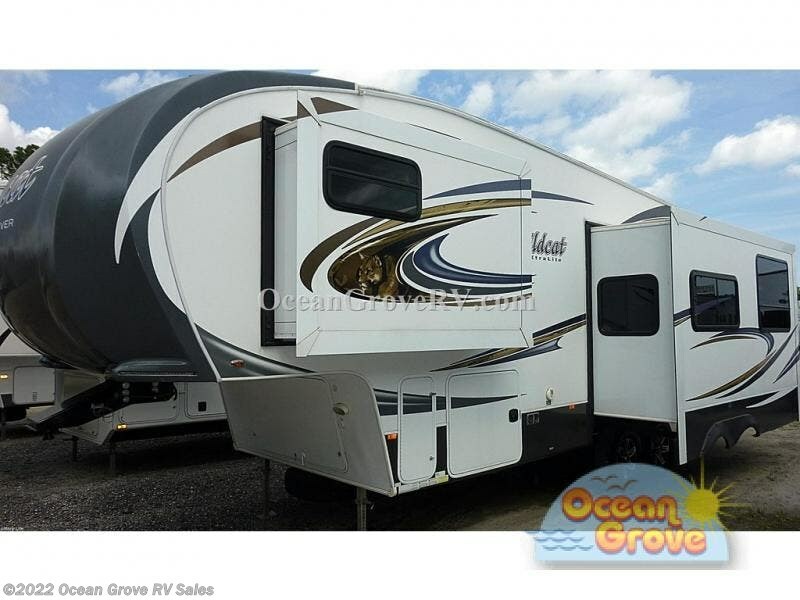 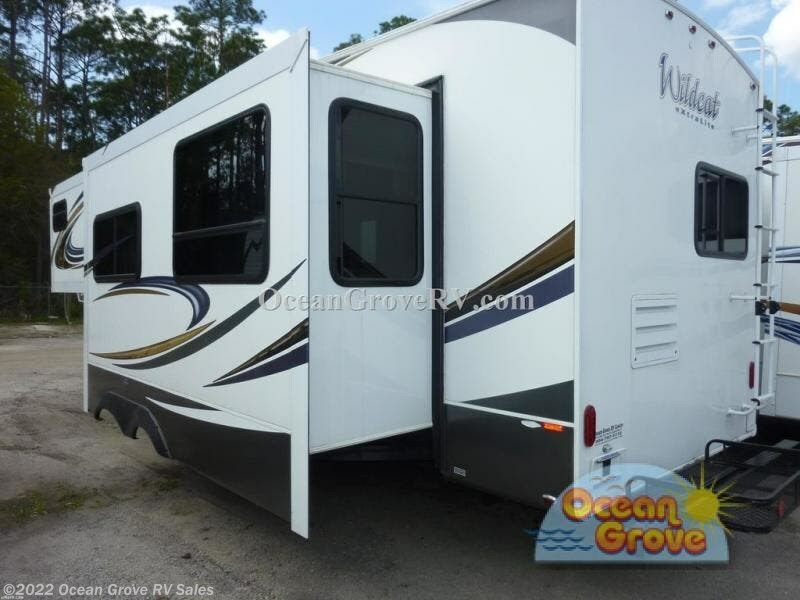 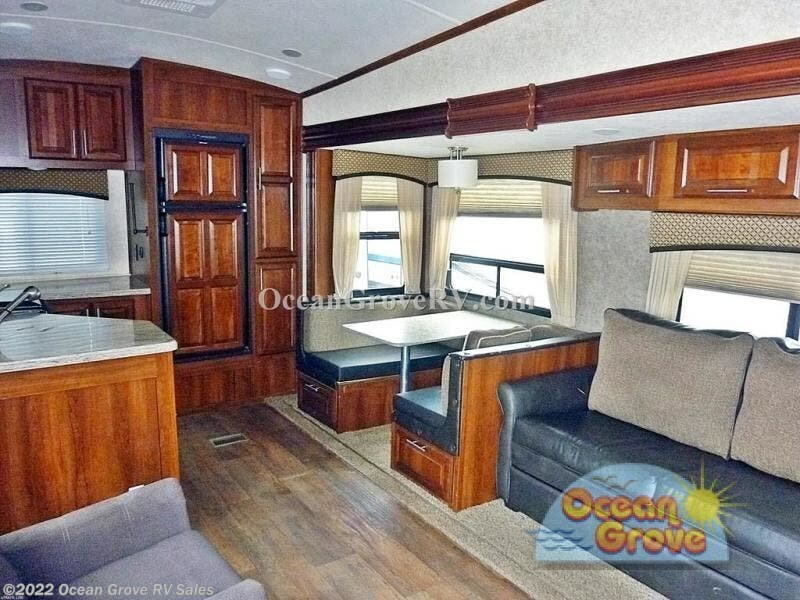 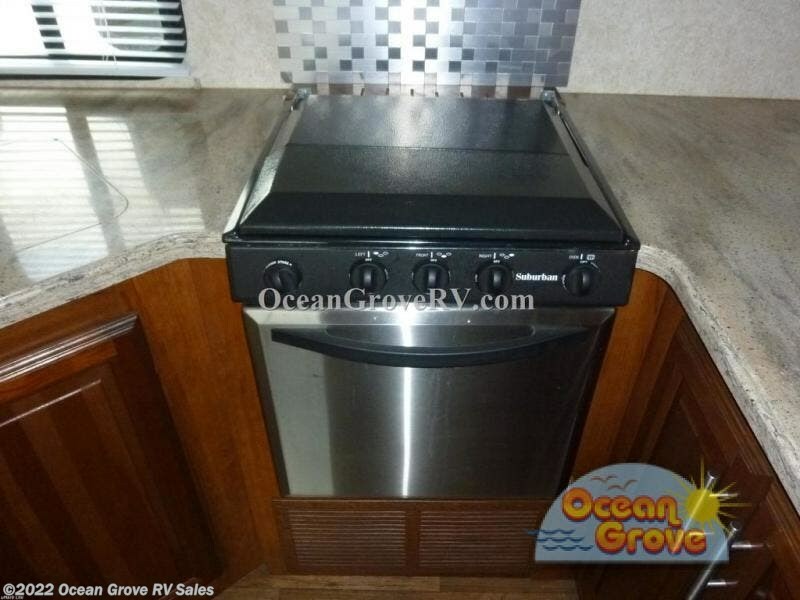 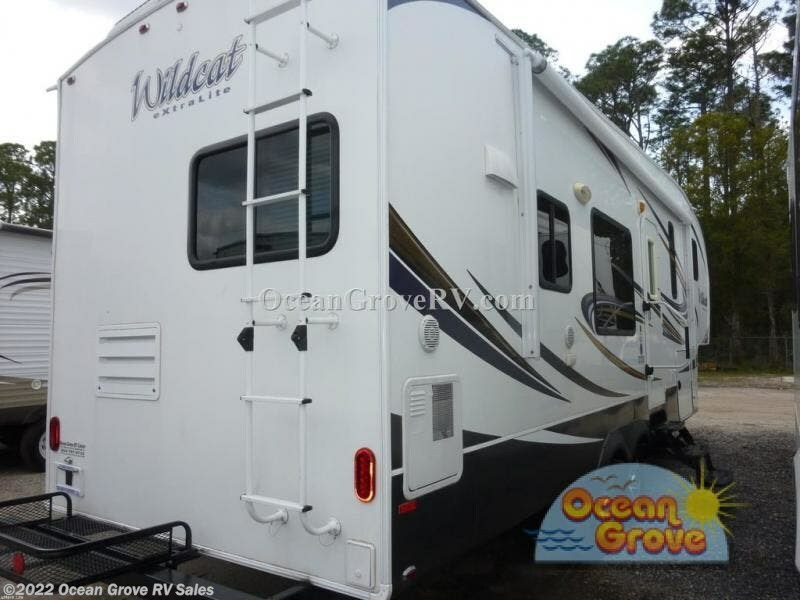 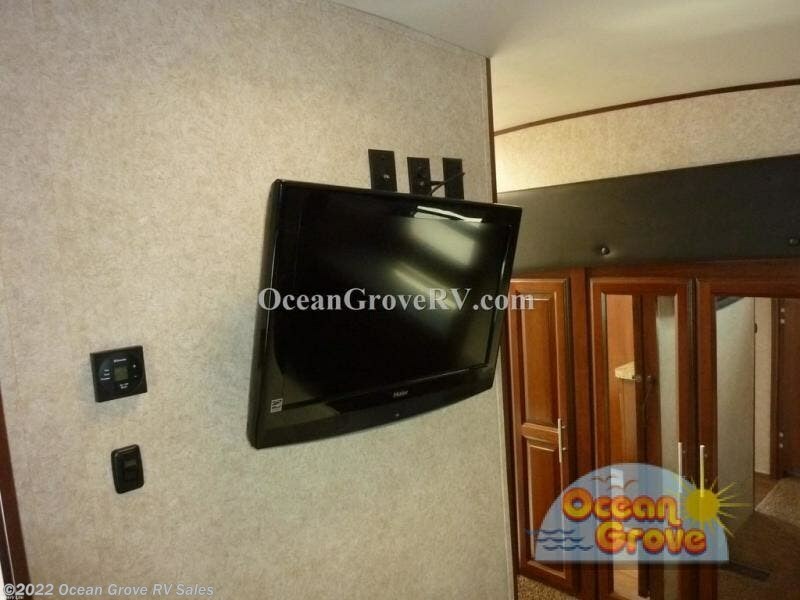 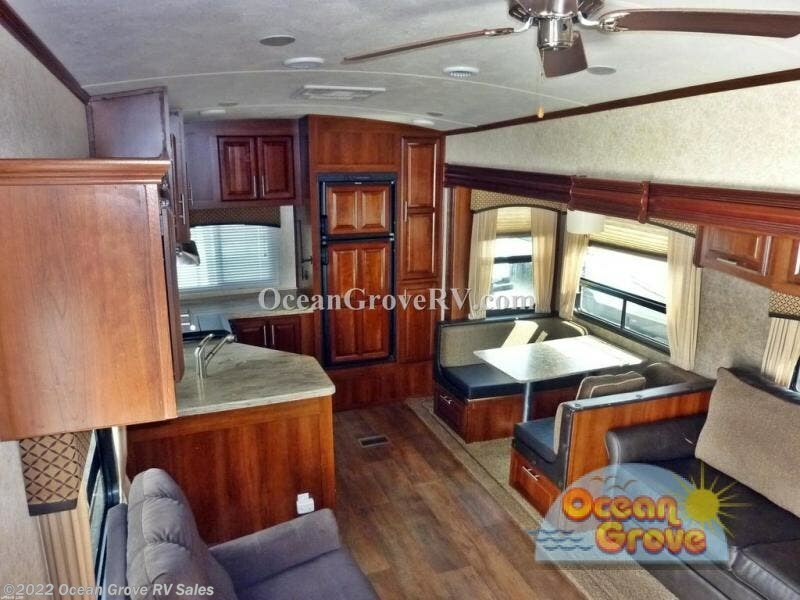 You can easily view the 40" Toshiba tv from either the kitchen or living area on this fifth wheel. 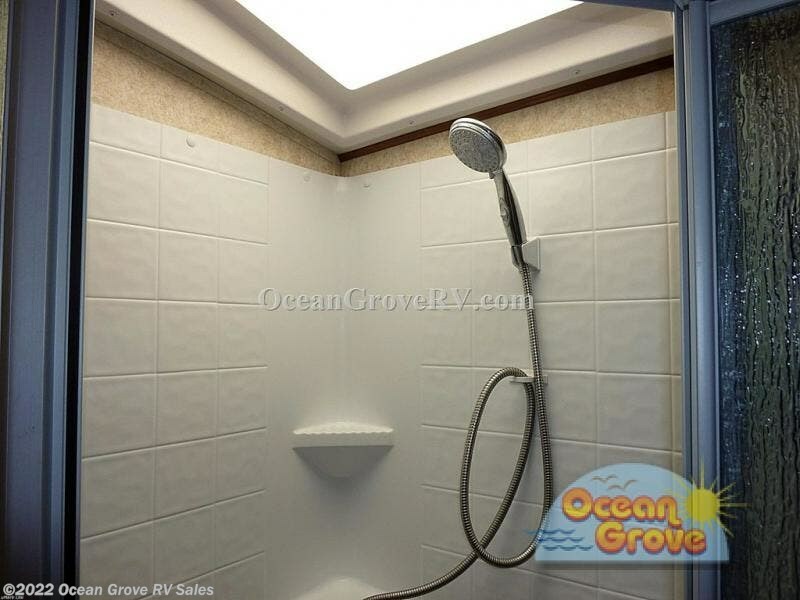 As you step up the stairs, you will find a side aisle bathroom which includes a sink, toilet, and a corner shower. 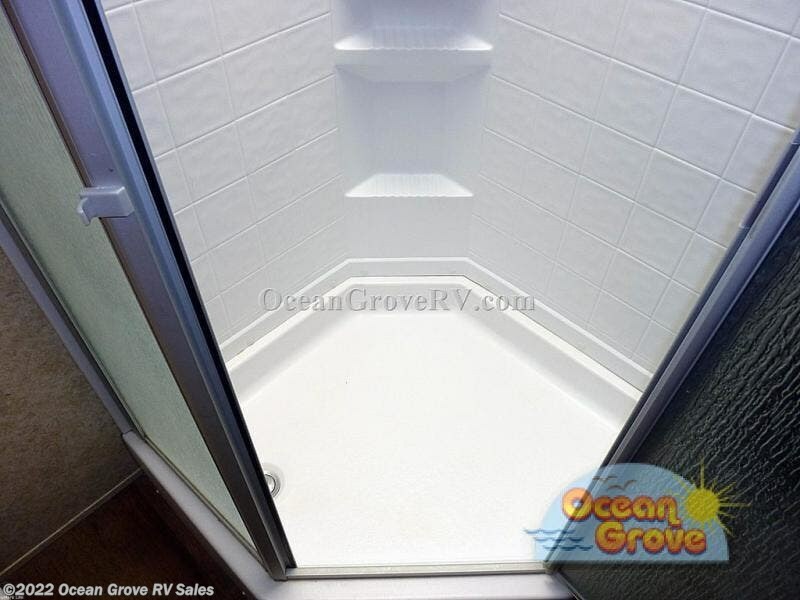 You can enter the bedroom from either the hallway or the bathroom. 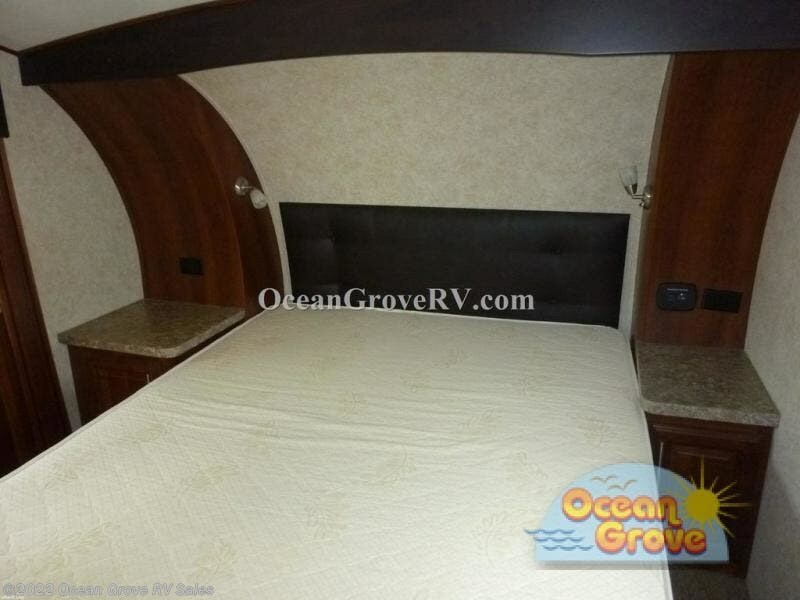 Inside the bedroom you will notice a linen, wardrobe slide and nightstands on either side of the queen bed. 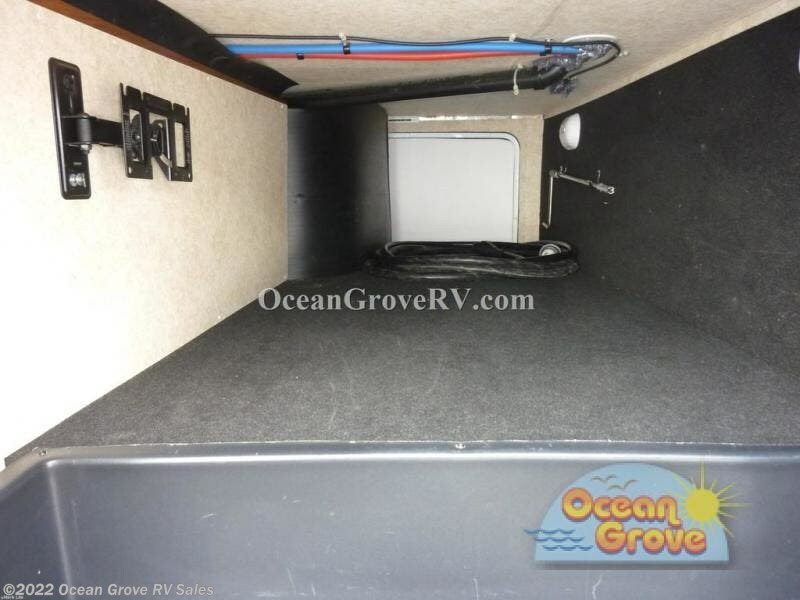 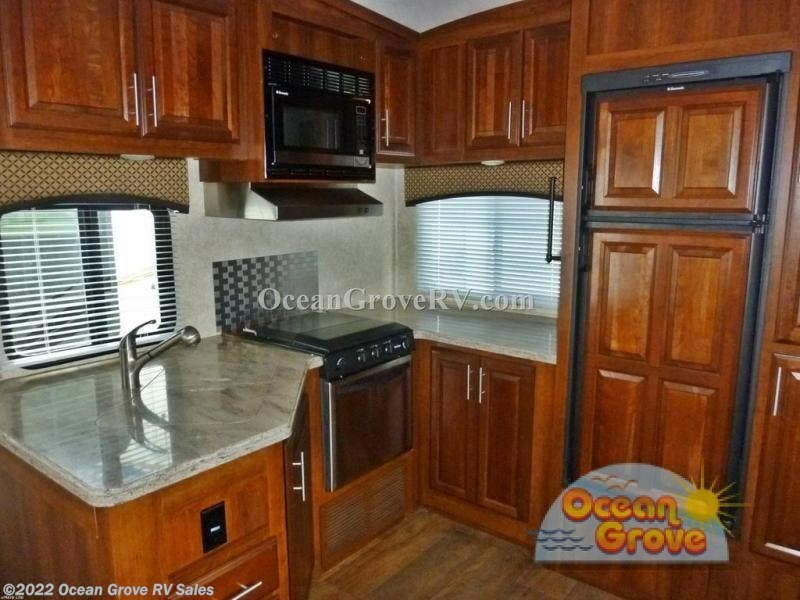 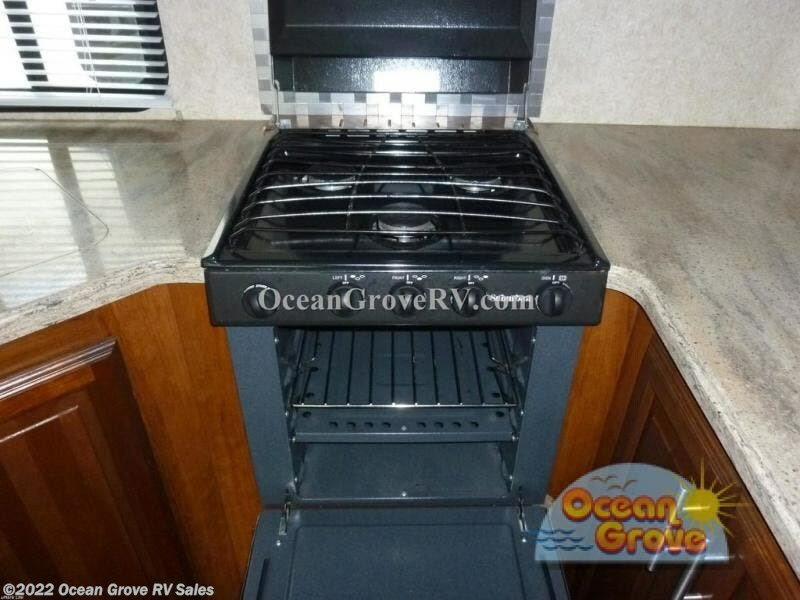 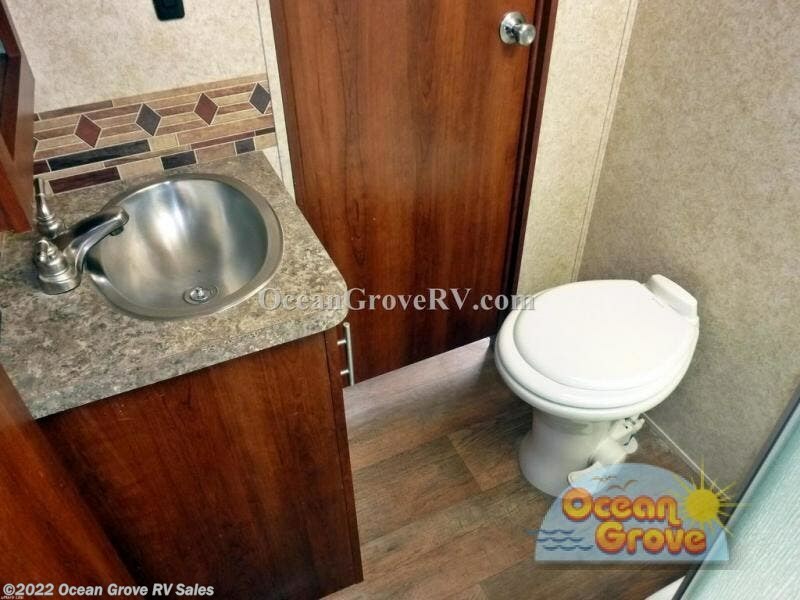 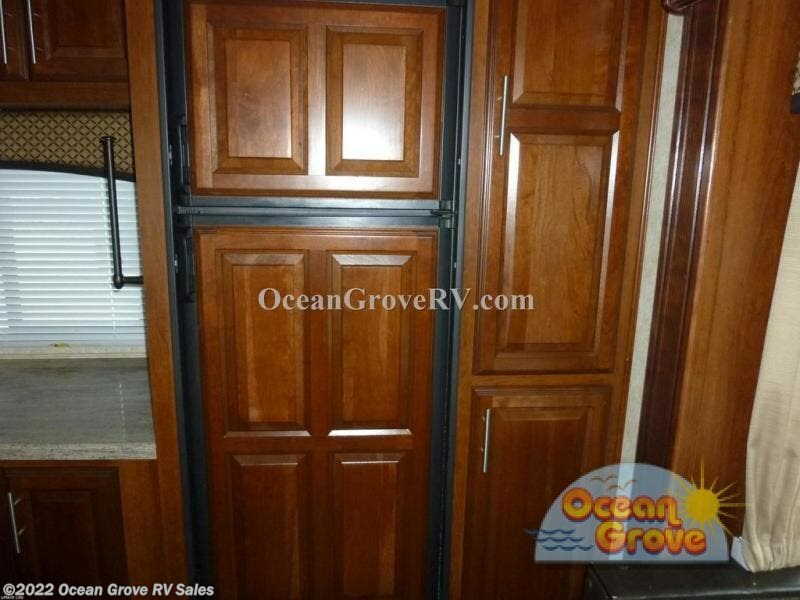 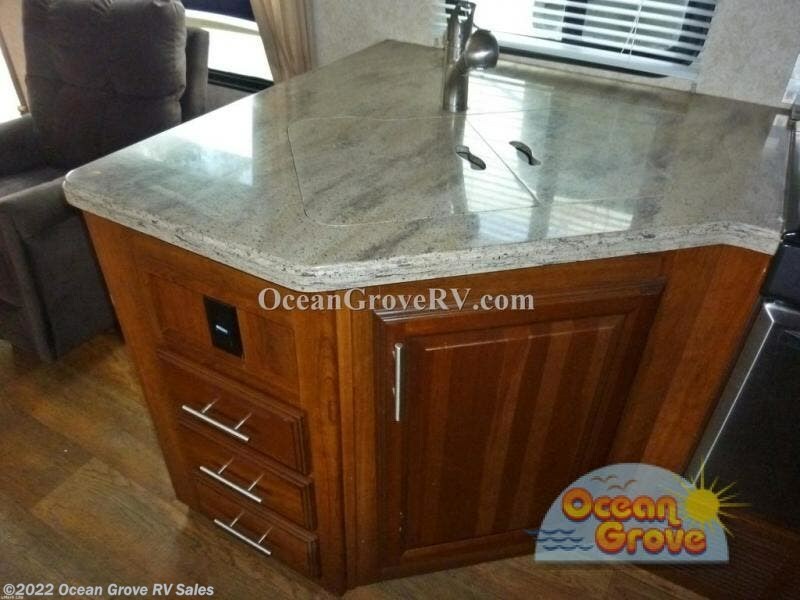 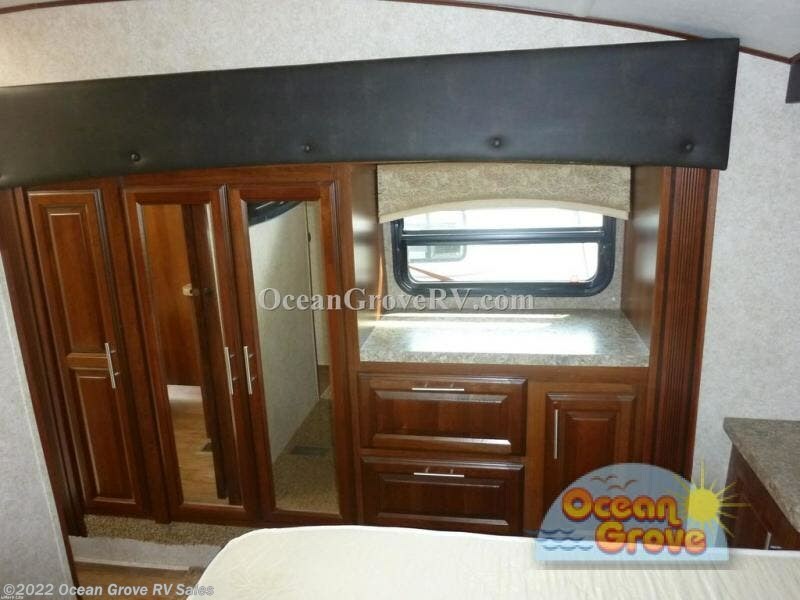 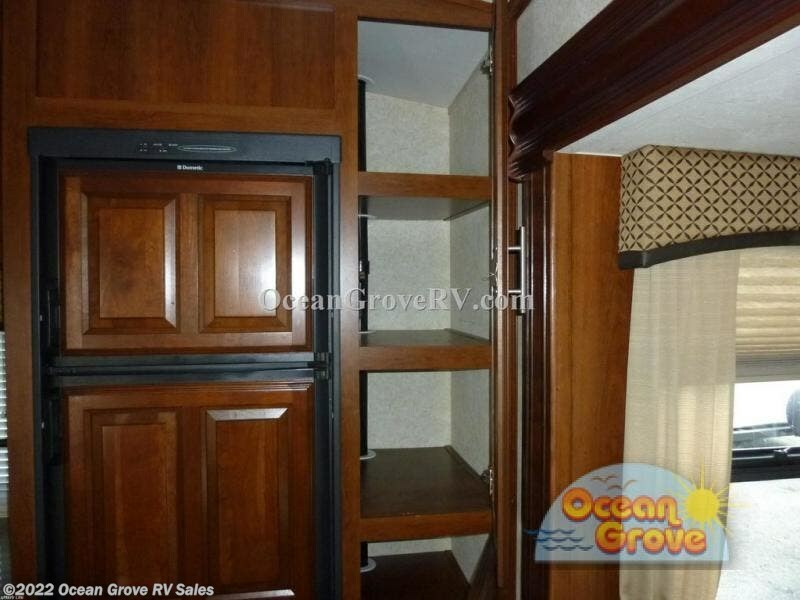 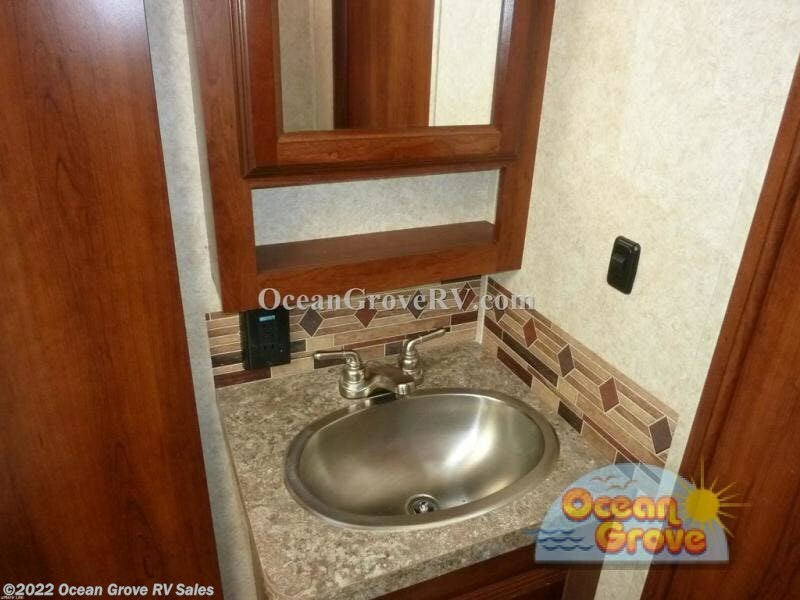 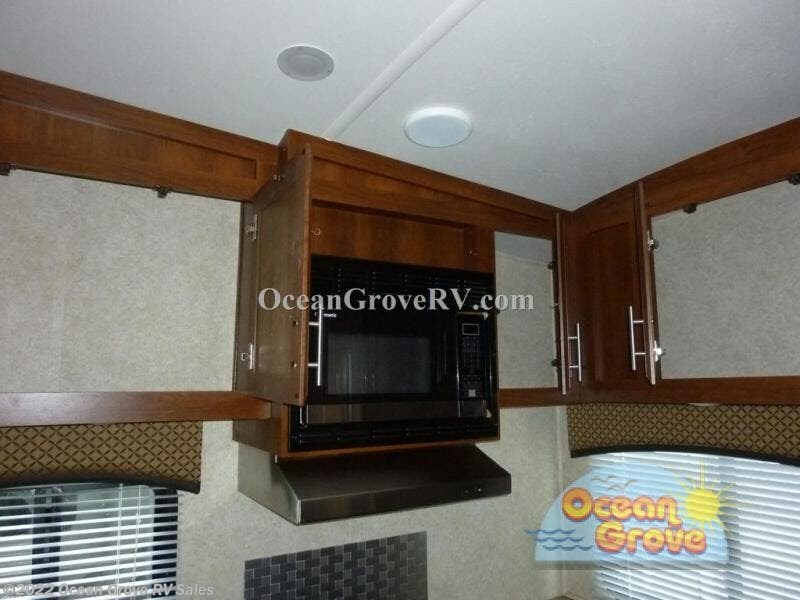 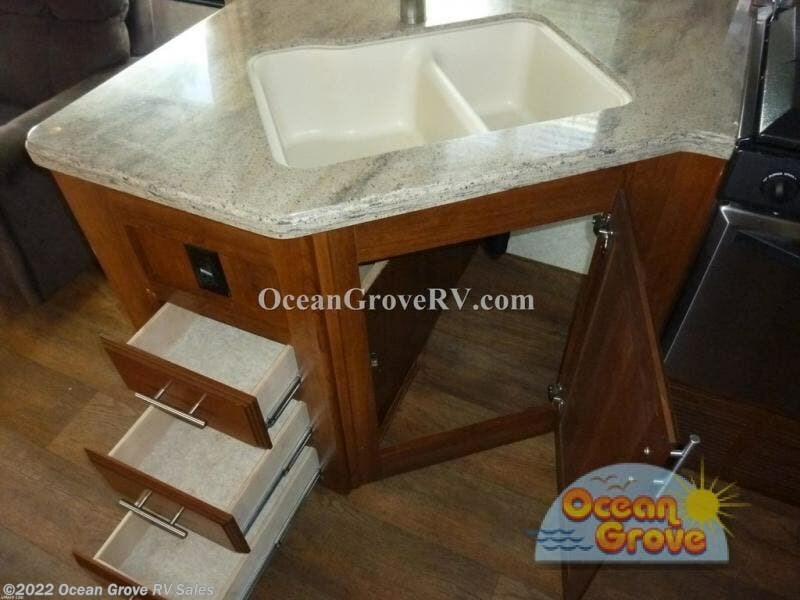 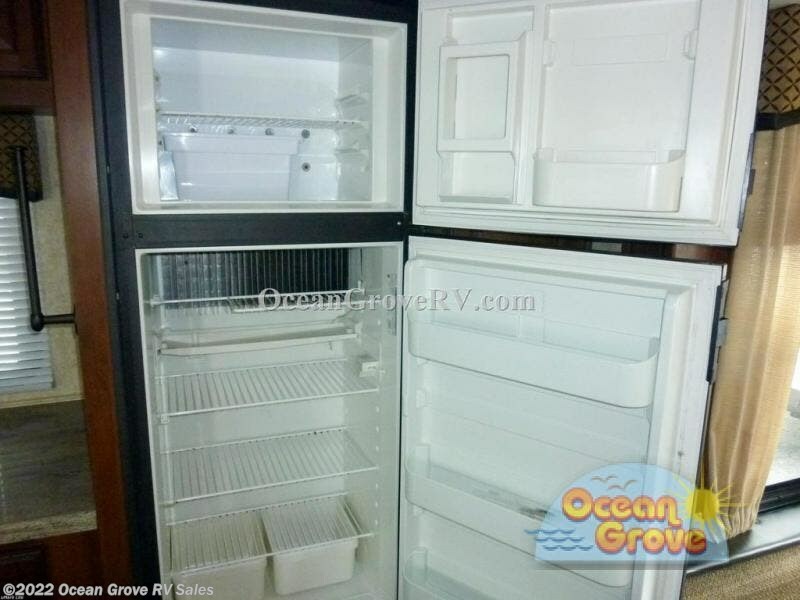 With all of the overhead cabinets inside the fifth wheel there should not be a problem with storage. 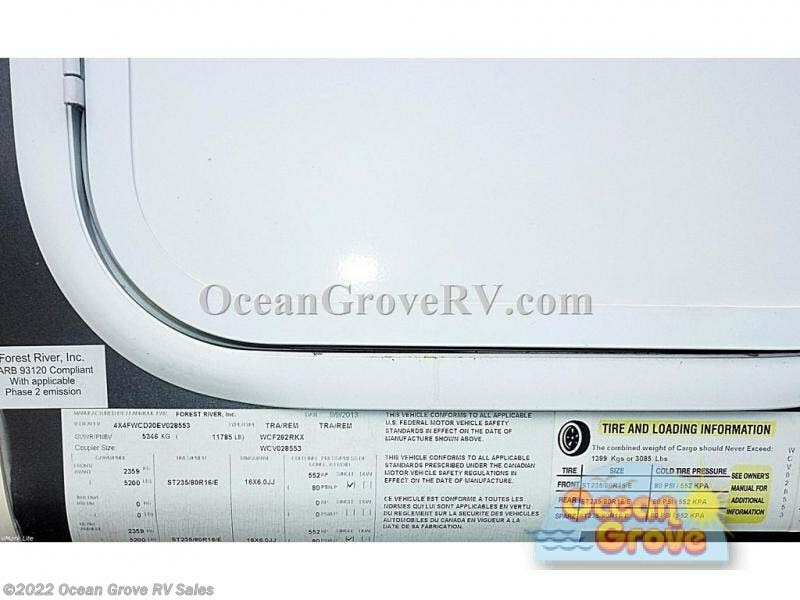 The outside offers a pass through slam latch so you can easily access your items throughout your camping trip. 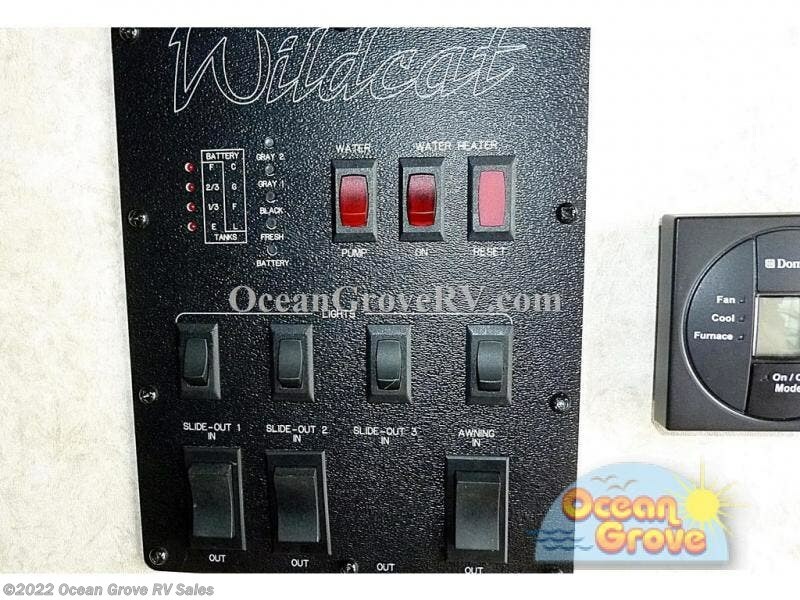 Check out Stock # 18-217B - 2014 Forest River Wildcat 282RKX eXtraLite on forestriverrvsource.com!